On January 22, we’re proud to offer all Toptal professionals in NYC a day of coworking along with a professional headshot. If you happen to be in the area, drop by between noon and 4:00pm to connect and cowork with fellow Toptalers. A local photographer will be on site shooting free professional headshots for Toptal members from 1:00 to 3:00pm. If you would like a free professional headshot, please show up camera-ready. 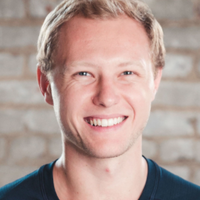 Calvin Rosser, Toptal’s Head of Community, will host. Be sure to RSVP on this page or contact Calvin if you would like to join. The coworking session is open to all current and prospective members of the Toptal community, so feel free to bring a guest if you think they would enjoy meeting the community or learning more about Toptal.